China has assured West African nations that it is committed to assisting them in their fight against the deadly Ebola outbreak, which the World Health Organization said has now killed more than 3,000 people. More than 6,300 have been infected. “The Chinese government has provided instantly drugs, medical equipment and other disease prevention and relief materials to Guinea, Liberia, Sierra Leone and Guinea-Bissau,” Chinese Foreign Minister Wang Yi told delegates on the sidelines of the UN General Assembly in New York. 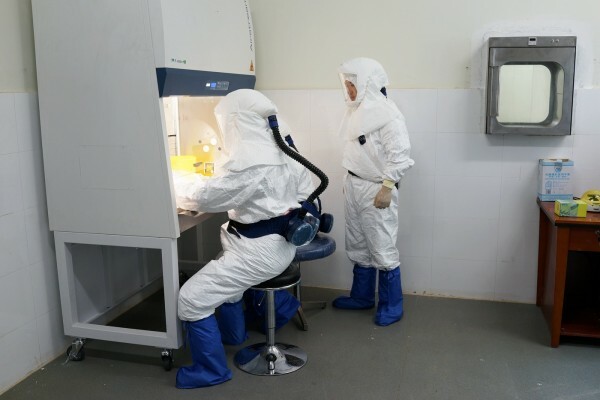 He said that the 170 medical professionals dispatched by Beijing to afflicted areas since the outbreak was first reported in March “work round the clock to help people” who have contracted the disease. Last week, the Chinese government announced a new aid package of 200 million yuan (about $32.54 million) for West African countries to combat Ebola. This is in addition to the 230 million yuan sent by China earlier to the four worst affected countries of Guinea, Liberia, Sierra Leone and Nigeria. The aid will include capital support, food and other relief material, said Xi who is on a state visit to India. Xi said China will also provide the World Health Organization and the African Union with cash funds of $2 million each. China’s reaffirmation of its role in helping stricken African nations comes amid a number of warning from the UN and various emergency relief organizations. On Thursday, UN Secretary-General Ban Ki-Moon said that “Ebola is raging”, killing some 200 people a day. “Despite the valiant efforts of local communities, health systems are buckling under the strain,” he said. For her part, WHO Director-General Margaret Chan has said that the Ebola virus is spreading so quickly that preventive efforts have so far done little to stem its infection rate. “Every day, every minute, counts,” she said. In early August, the UN had initially said that the Ebola virus would affect 20,000 people by November. Earlier this week, the Center for Disease Control (CDC) in the US said that the deadly virus could affect 500,000 to 1.4 million people by early 2015. The UN says Ebola could become a mainstay in Africa for the next few years. Meanwhile, US President Barack Obama said he would deploy some 3,000 troops to African nations to help them construct 17 treatment centers and train thousands of medical staff combating the deadly virus.